Loukia Christodoulou holds a BA (Hons) degree in law and an LLM in international commercial law from the University of Kent at Canterbury. She has been a lawyer with established Cypriot law firms and, between 2000 and 2007, a member of the Tax Appeal Tribunal of the Republic of Cyprus. She was a member of the Commission for the Protection of Competition from May 2008 to December 2011. 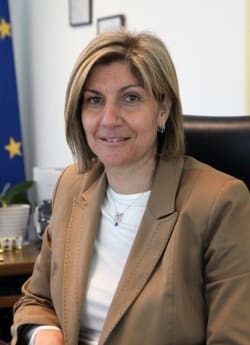 The Council of Ministers of the Republic of Cyprus subsequently appointed her as the chairperson until April 2013 and was reappointed for another five-year term in April 2018.